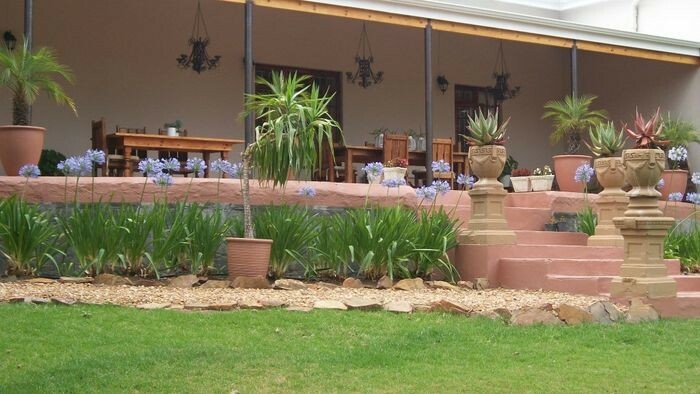 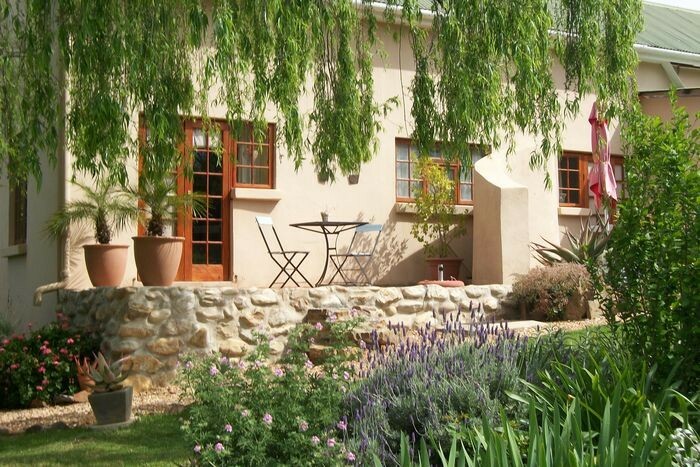 Situated 7km outside the town of Ladismith on the slopes of the Klein Swartberg Mountains, Ladismith Country House strives to provide guests with only the best service. 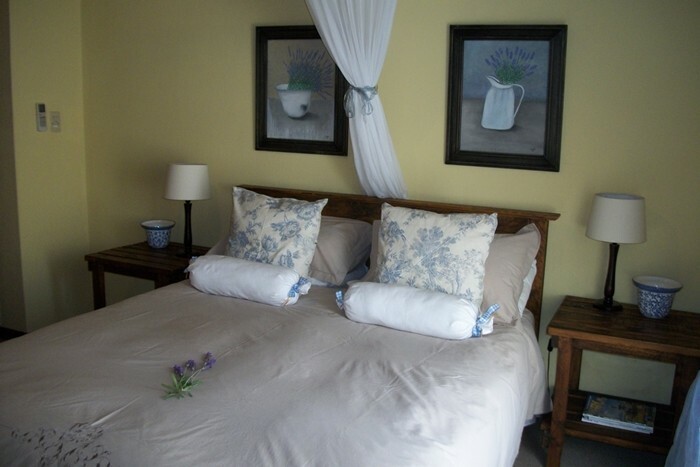 Our personal touch and attention to detail will make your stay feel like a home away from home. 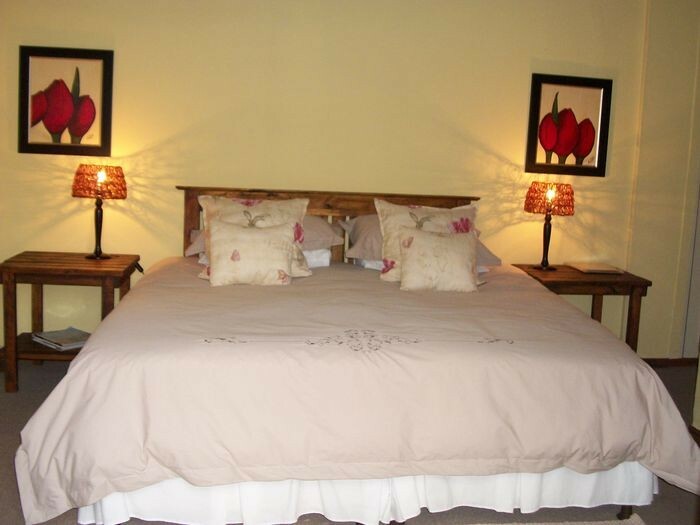 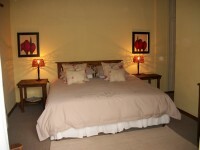 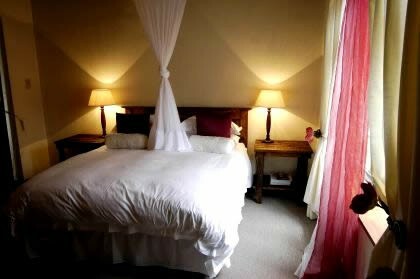 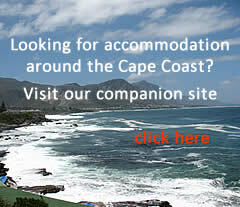 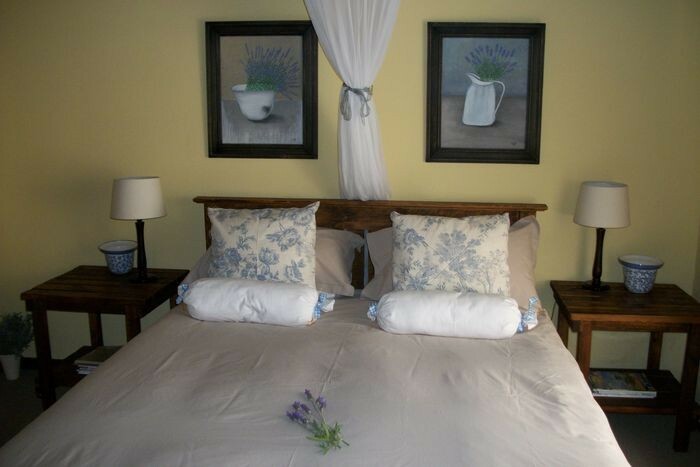 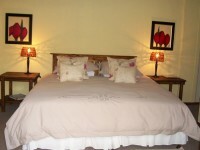 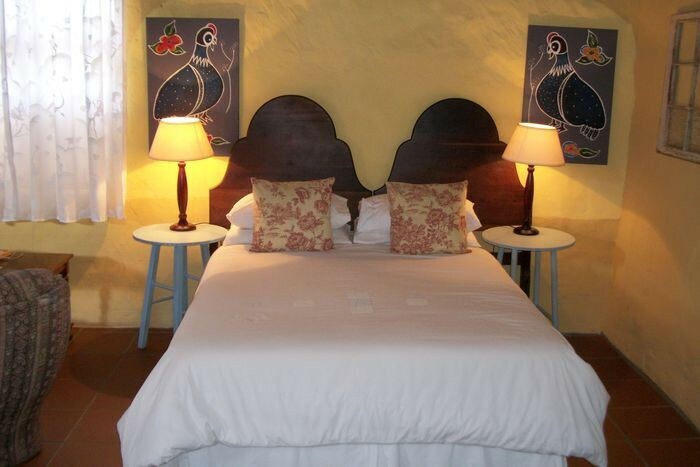 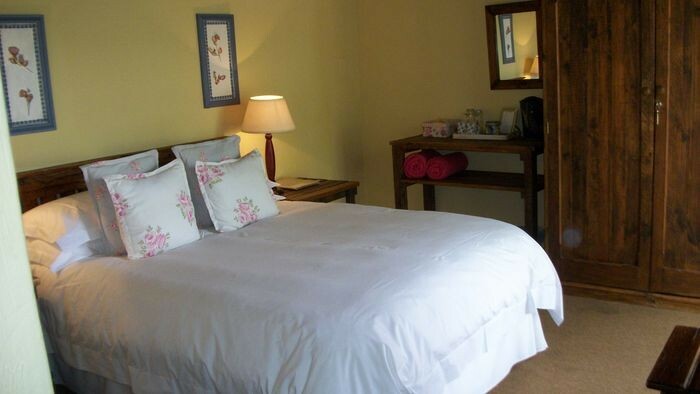 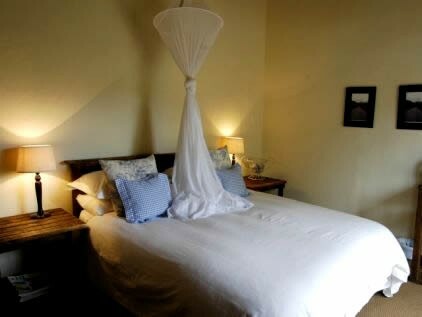 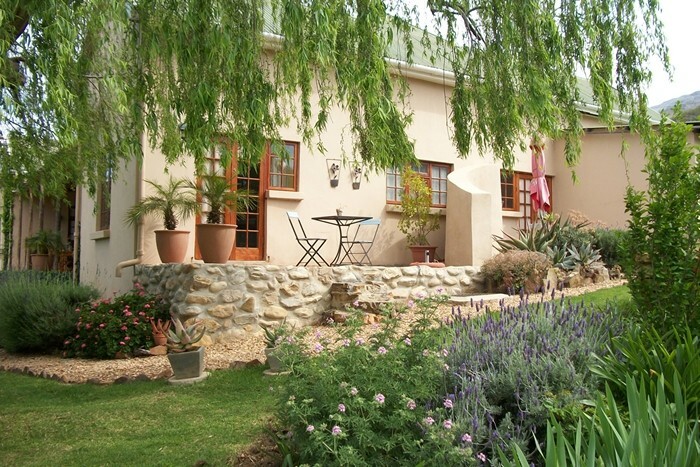 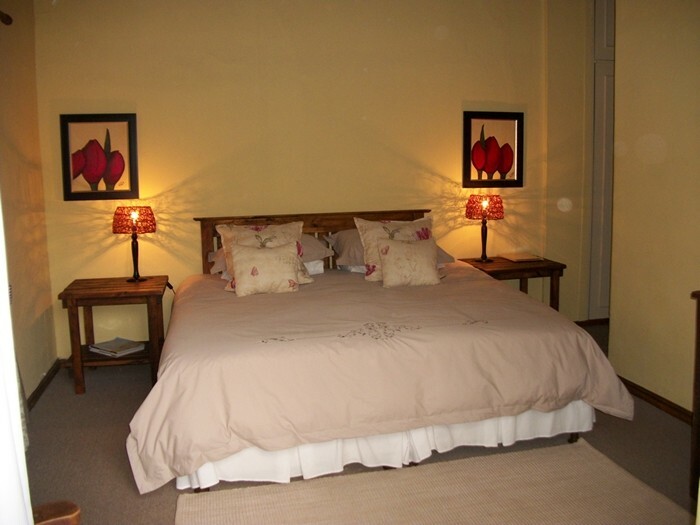 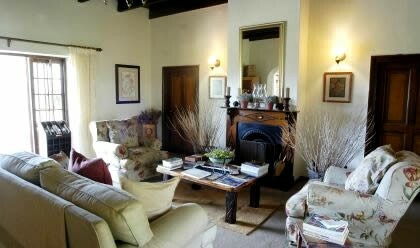 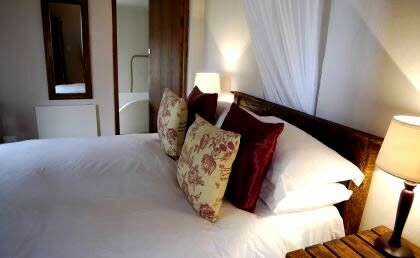 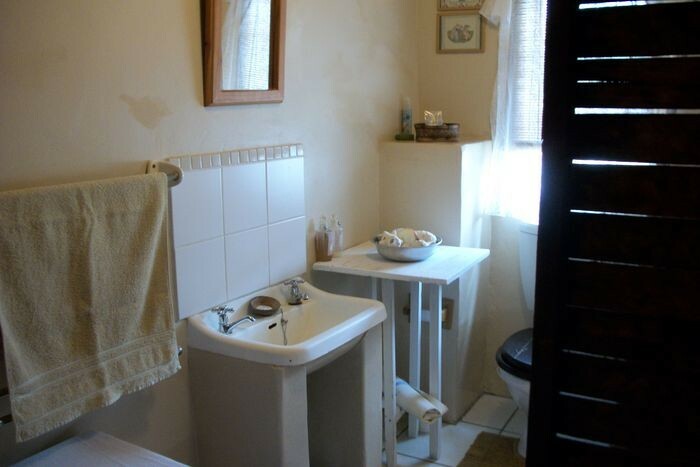 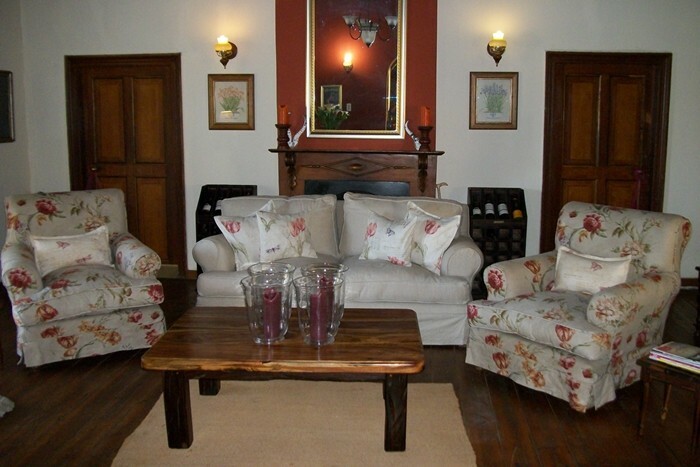 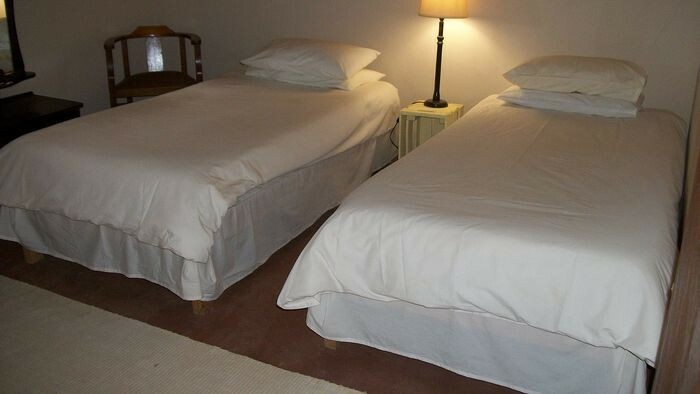 Accommodation at Ladismith Country House is made up of The Manor House and a Self-Catering Cottage. 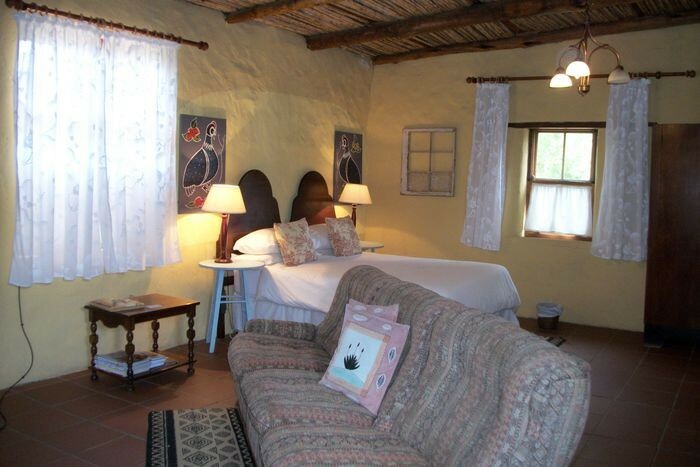 The Manor House consists of four individually and tastefully decorated rooms that provide the warmth and relaxation that only the Klein Karoo can satisfy. 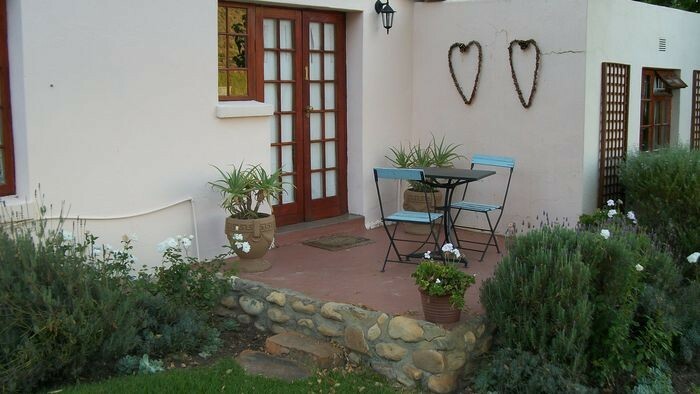 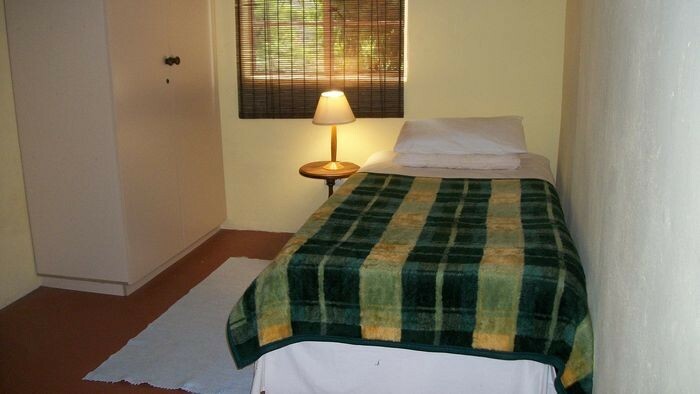 Each room has it's own entrance and a patio with direct access to the beautiful garden. 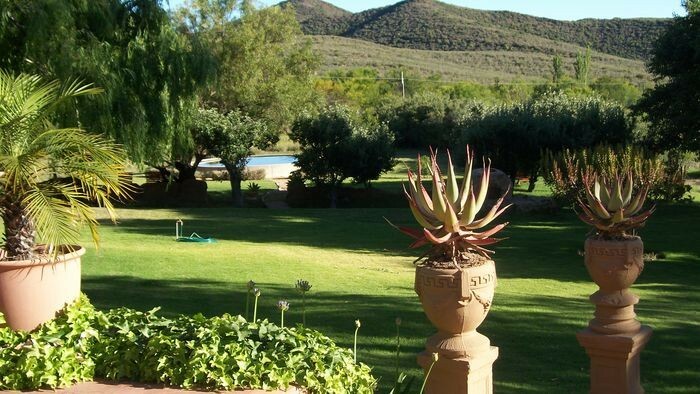 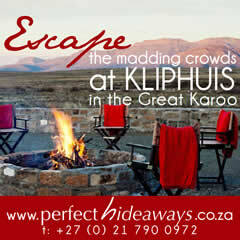 Ladismith Country House offers a heartwarming breakfast in the perfect Karoo setting. 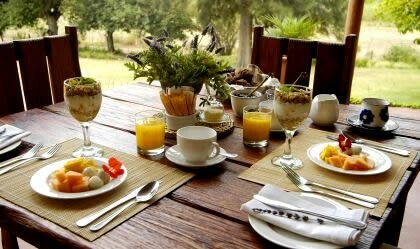 Enjoy a leisurely breakfast in our dining room or on the patio overlooking the garden and Klein Karoo landscape with the welcoming sounds of Guineafowl, Hadeda, Partridge and Pheasants. 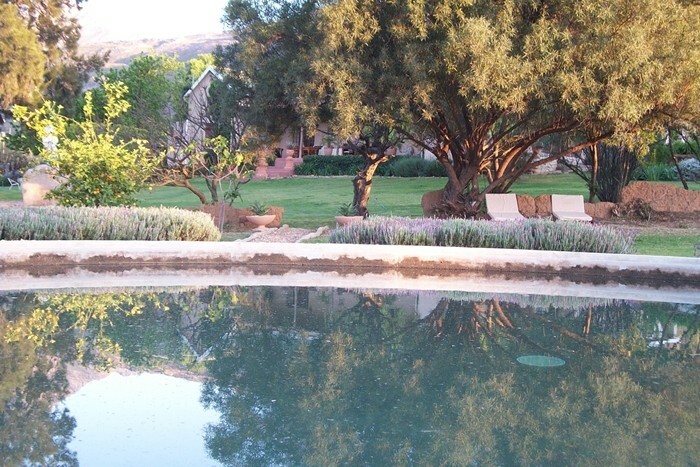 Evenings are characterized by delightful candlelit dinners, using local and fresh produce, which are creatively prepared and beautifully served. 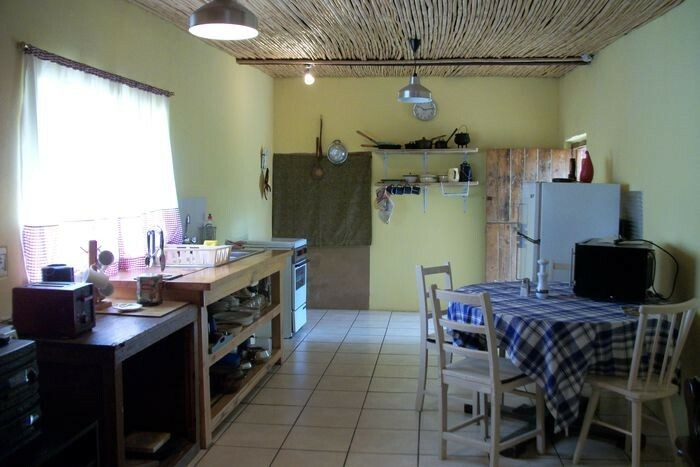 We specialise in traditional home-cooked South African meals. 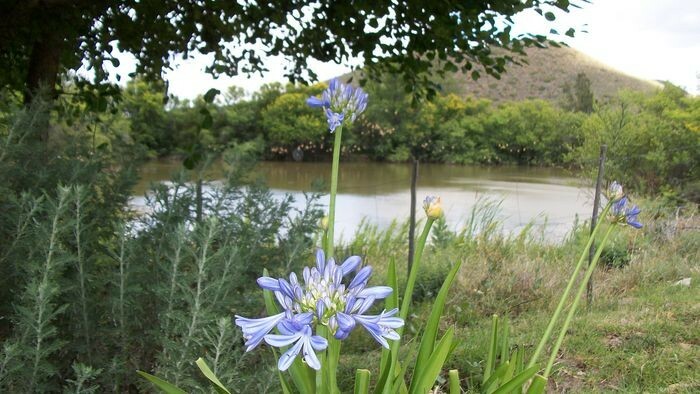 From Ladismith, take the R62 east towards Calitzdorp for approximately 10 km until you reach the Ladismith Country House signs or Hoeko Valley signs. 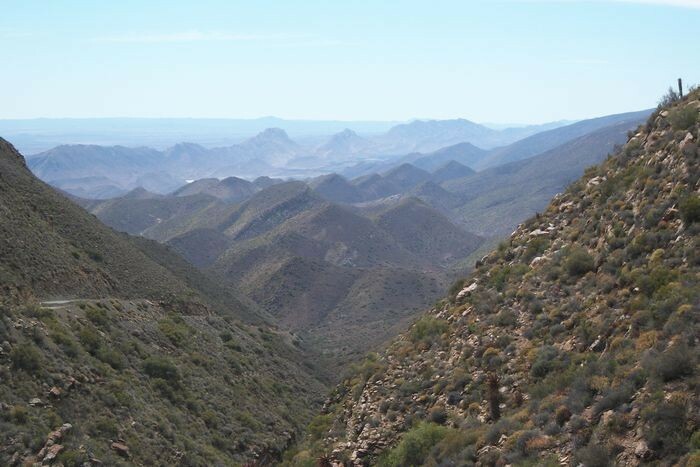 Turn left at these signs. 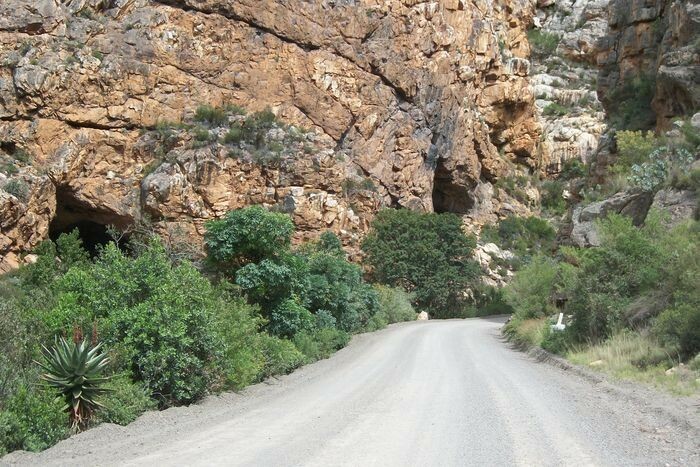 After 8 km the tar road becomes gravel and 2 km along the gravel road you will see Ladismith Country House signs on your left.